Bench Bambino Cologne - Its Safe For Me 爽身粉味 香水 50ml BB 爽身粉味香水 .. Bench Bambino Cologne - I Love The Smell BB仔味 香水 50ml .. Bench Bambino Cologne - Make Me Feel Good 芬依草味 香水 50ml .. Bench Bambino Cologne - Its Safe For Me 爽身粉味 香水 100ml BB 爽身粉味香水, BB香水 &n.. 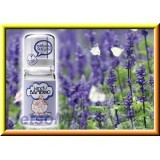 Bench Bambino Cologne - I Love The Smell BB仔味 香水 100ml 本公司網址：www.JetsoMall.net .. Bench Bambino Cologne - Make Me Feel Good 芬依草味 香水 100ml ..